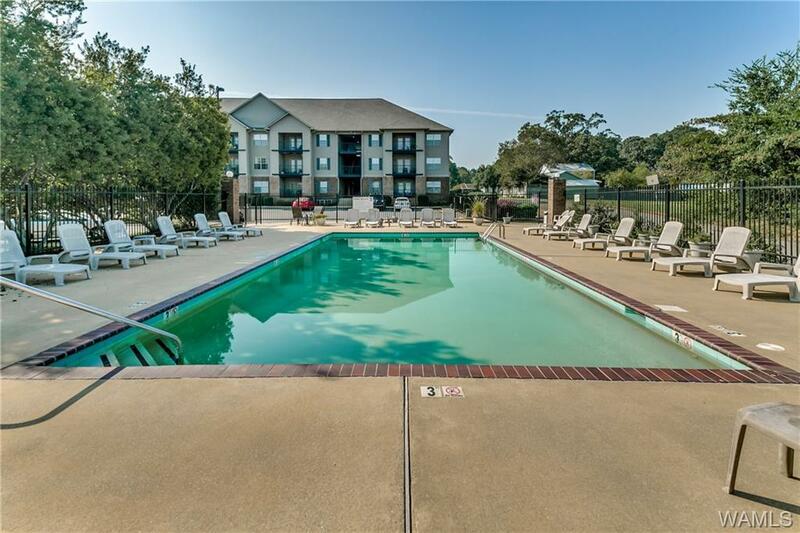 New listing at the Summitt Condos in the most convenient location in Tuscaloosa . Open floorplan w/ vaulted ceiling & granite counter-tops. Lifetime warranty hardwood style laminate flooring in living & dining area, remote controlled kitchen accent lighting, new carpet, paint, new disposal & thermostat. Ceramic tile in foyer, kitchen & bath. Private balcony w/ 2 outdoor storage closets. 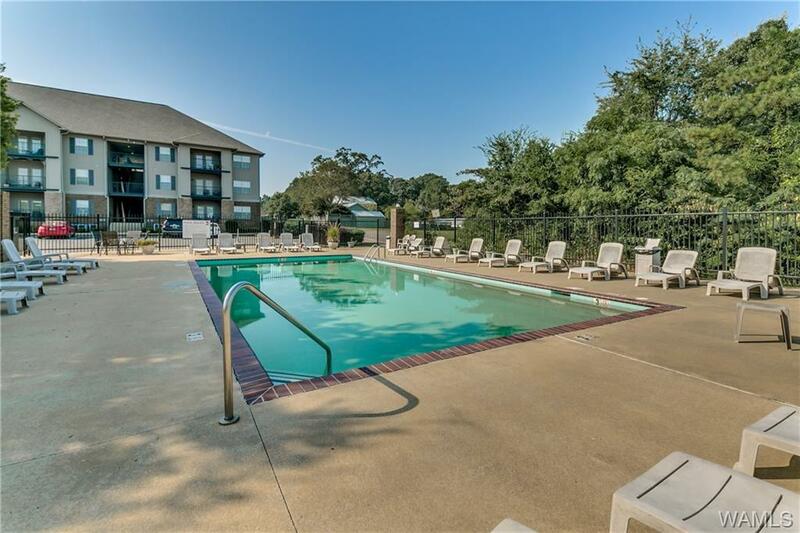 Includes: washer/dryer, fridge, dishwasher & microwave. 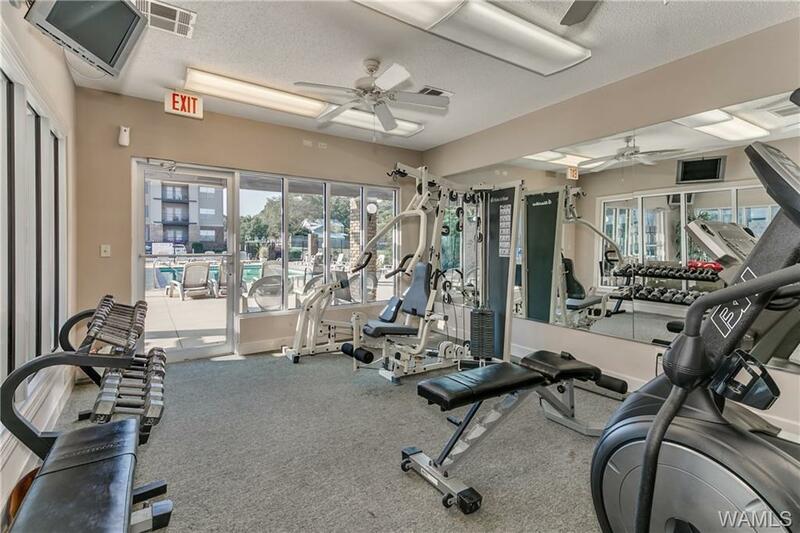 Enjoy the lifestyle amenities this community offers, workout in the 24 hour fitness center or swim in the over sized pool. Just 5 minutes from the U of A, DCH, Target, University Mall & Legacy Park Shopping Center. 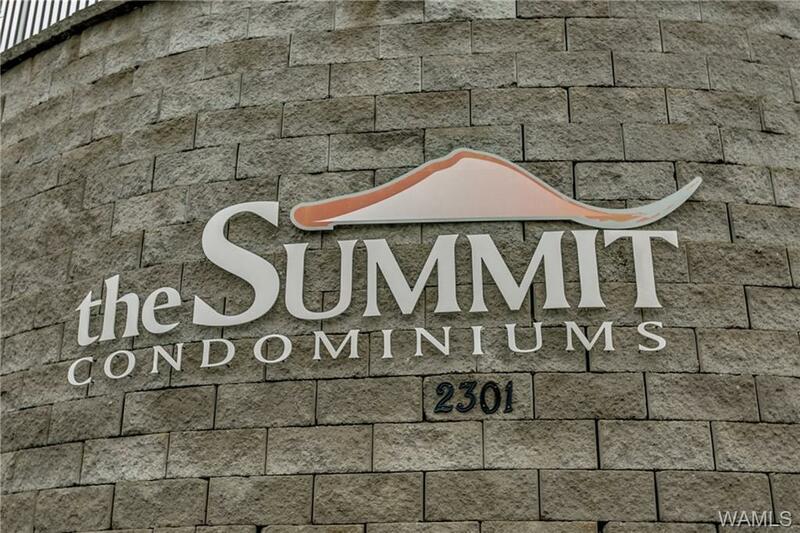 The Summit features 24/7 gated perimeter, a furnished Clubhouse, on-site management & extra parking.